Henry David Thoreau is one of the most beloved and influential writers of the 19th century. And yet he stands in contrast to his time, as he was an eloquent voice advocating simple living, often expressing skepticism toward changes in life nearly everyone else accepted as welcome progress. Though revered in literary circles during his lifetime, especially among the New England Transcendentalists, Thoreau was largely unknown to the general public until decades after his death. He is now regarded as an inspiration to the conservation movement. Henry David Thoreau was born in Concord, Massachusetts, on July 12, 1817. His family owned a small pencil factory, though they made little money from the business and were often poor. 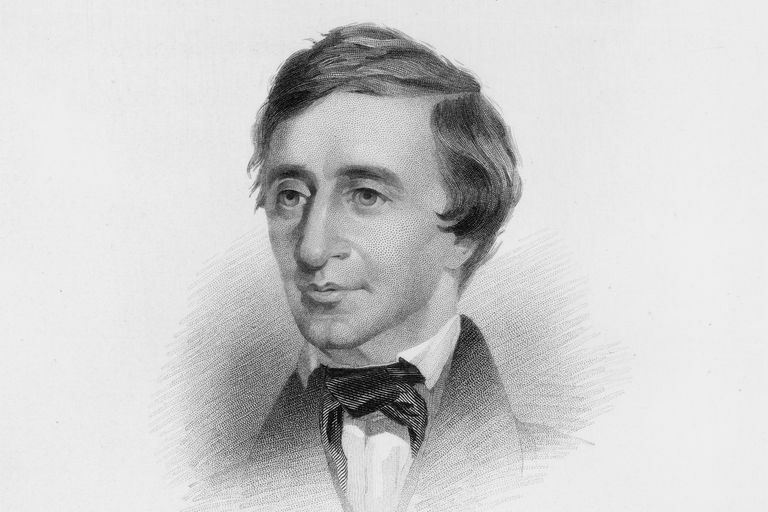 Thoreau attended Concord Academy as a child, and entered Harvard College as a scholarship student in 1833, at the age of 16. At Harvard, Thoreau was already beginning to stand apart. He wasn’t antisocial, but seemed not to share the same values as many of the students. After graduation from Harvard, Thoreau taught school for a time in Concord. Becoming frustrated with teaching, Thoreau wanted to devote himself to the study of nature and to writing. He became a subject of gossip in Concord, as people thought him lazy for spending so much time walking about and observing nature. Thoreau became very friendly with Ralph Waldo Emerson, and the influence of Emerson on Thoreau’s life was enormous. Emerson encouraged Thoreau, who kept a daily journal, to devote himself to writing. Emerson found Thoreau employment, at times hiring him as the live-in handyman and gardener at his own home. And at times Thoreau worked in his family's pencil factory. In 1843, Emerson helped Thoreau obtain a teaching position on Staten Island, in New York City. The apparent plan was for Thoreau to be able to introduce himself to publishers and editors in the city. Thoreau was not comfortable with urban life, and his time there did not spark his literary career. He returned to Concord, which he seldom left for the rest of his life. From July 4, 1845 to September 1847, Thoreau lived in a small cabin on a plot of land owned by Emerson alongside Walden Pond near Concord. While it might seem that Thoreau had withdrawn from society, he actually walked into town often, and also entertained visitors at the cabin. He was actually quite happy living at Walden, and the notion that he was a cranky hermit is a misconception. He later wrote of that time: "I had three chairs in my house; one for solitude, two for friendship, three for society." Thoreau was, however, becoming increasingly skeptical of modern inventions such as the telegraph and the railroad. Thoreau, like many of his contemporaries in Concord, was very interested in the political struggles of the day. Like Emerson, Thoreau was drawn to abolitionist beliefs. And Thoreau was opposed to the Mexican War, which many believed had been instigated for fabricated reasons. In 1846 Thoreau refused to pay local poll taxes, stating he was protesting slavery and the Mexican War. He was jailed for a night, and the next day a relative paid his taxes and he was freed. 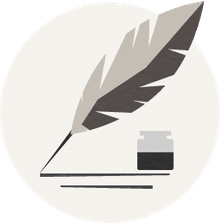 While his neighbors may have gossiped about Thoreau’s idleness, he diligently kept a journal and worked hard at crafting a distinctive prose style. He began to see his experiences in nature as fodder for books, and while living at Walden Pond he began to edit journal entries about an extended canoe trip he had made with his brother years earlier. In 1849 Thoreau published his first book, A Week on the Concord and Merrimack Rivers. Thoreau also used the technique of rewriting journal entries to craft his book, Walden; Or Life In the Woods, which was published in 1854. While Walden is considered a masterpiece of American literature today, and is still widely read, it did not find a large audience during Thoreau’s lifetime. Following the publication of Walden, Thoreau never again attempted as ambitious a project. He did, however, continue to write essays, keep his journal, and deliver lectures on various topics. He was also active in the abolitionist movement, at times helping escaped slaves get on trains to Canada. When John Brown was hanged in 1859 after his raid on a federal armory, Thoreau spoke admiringly of him at a memorial service in Concord. In 1860 Thoreau was afflicted with tuberculosis. There is some credence to the idea that his work in the family pencil factory may have caused him to inhale graphite dust which weakened his lungs. A sad irony is that while his neighbors may have looked askance at him for not pursuing an ordinary career, a job he did perform, although irregularly, may have led to his illness. Thoreau’s health continued to deteriorate until he couldn’t leave his bed and could hardly speak. Surrounded by family members, he died on May 6, 1862, two months before he would have turned 45. Thoreau's sister Sophia arranged to have some of his works published after his death. But he faded into obscurity until later in the 19th century, when nature writing by authors such as John Muir became popular and Thoreau was rediscovered. The literary reputation of Thoreau enjoyed a great revival in the 1960s, when the counterculture adopted Thoreau as an icon. His masterpiece Walden is widely available today, and is often read in high schools and colleges.